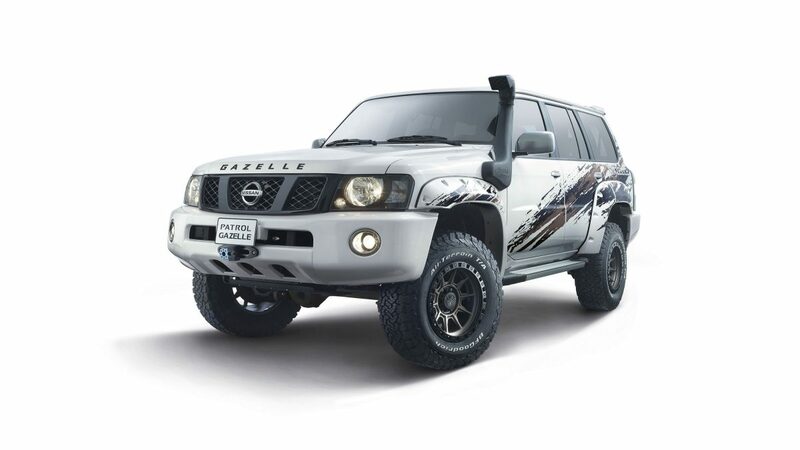 On its exterior the Nissan Patrol Gazelle edition boasts a head-turning body decal that reflects both the spirit of the desert, and the car’s all-terrain driving capability. The Gazelle’s new fender flares match the car’s bodywork and are complimented by 17-inch bronze colored alloy wheels of rally inspired design (complete with new 285mm multi-terrain tyres), that feature a Gazelle logo in the center. To enhance the performance of the Patrol Gazelle, an air snorkel has been added to improve the air flow to the vehicle, whether in the desert or shallow waters. 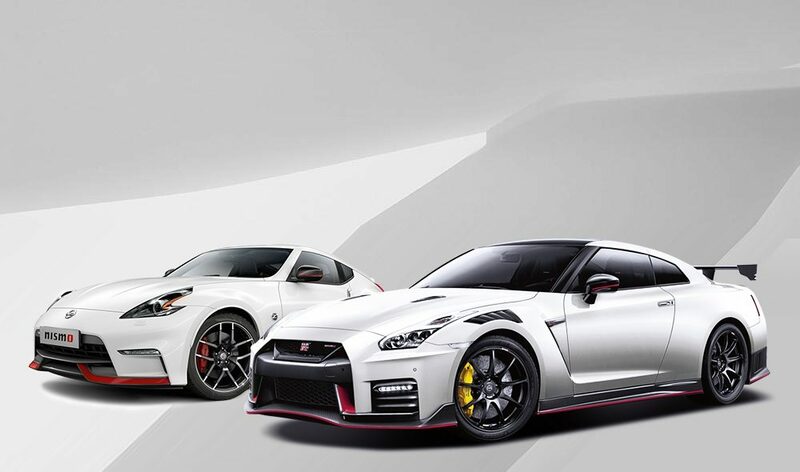 It is also equipped with a world-renowned, tuned remote reservoir shock suspension anodized in Nissan red and black colors, along with a 2-inch lift kit with Nissan red coil springs, that further improves the driving experience and allows drivers to cruise across multiple terrains comfortably and quickly. 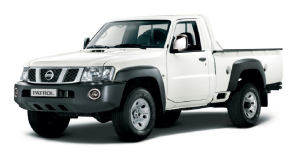 The addition of a front electrical winch with a capacity of 4,300 kg puts the driver, or their less-equipped friends, at ease in off-road situations. 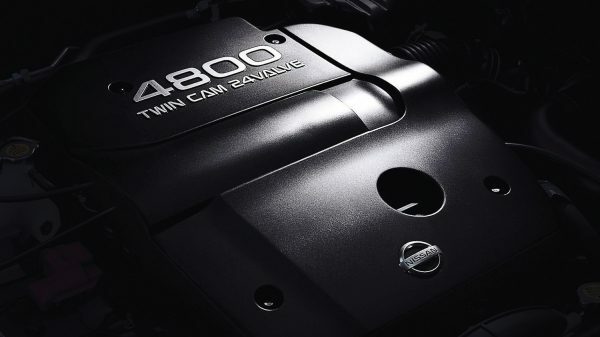 Delivering more power and torque, the potent TB48DE 4800 is equipped with VTC and NICS to provide the Nissan Patrol with exceptional off-road performance and impressive. The Gazelle’s blackened front grille and head and tail lights, along with a newly-added gazelle emblem on the front hood, emphasize the car’s desert credentials. A rear roof spoiler adds an uncompromising air and is designed for holding flags whilst desert driving, and are included upon purchasing the Patrol Gazelle. 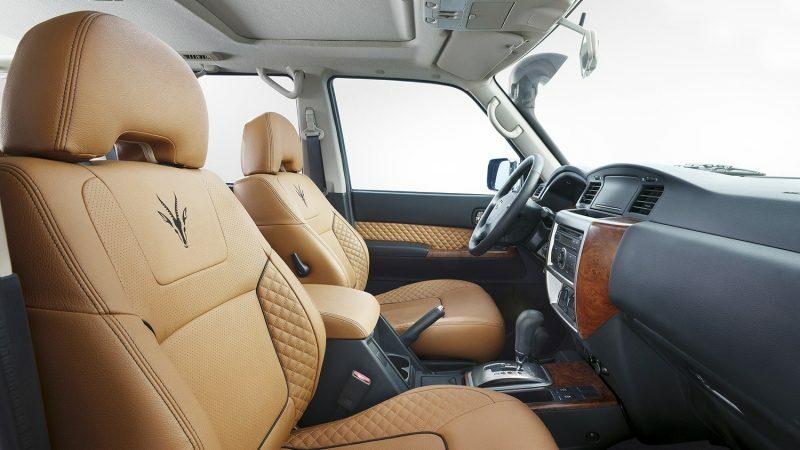 Inside, the car comes complete with bespoke tan leather seats and door trims. 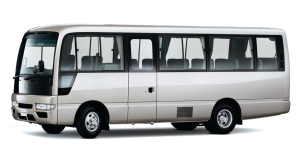 A Gazelle logo embossed on the seats completes the look.